Google's newly launched messaging app Allo, which has an in-built personal assistant, will now be available in Hindi as the company tries hard to woo its Indian users. India has the highest number of Allo users globally and the country is turning out to be an important market for the company. Google had promised to launch Allo in Hindi at a Make in India event in September. 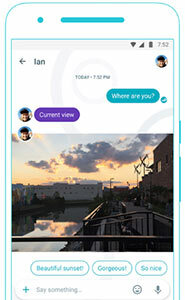 Google Allo is a messaging app which competes with the likes of Facebook Messenger, WhatsApp and iMessage. The main difference is that Allo comes with some machine learning built in, courtesy of Google Assistant, the company's virtual assistant. With this launch, the Google Assistant in Allo will now understand and respond in Hindi. One will just need to type @google to bring the Assistant into any group chat. Users can also chat one-on-one with Allo. To start using the Assistant in Hindi, the user can just say "Talk to me in Hindi" or adjust the language setting on the device, Google said in a blogpost on Monday. Apart from Hindi Assistant, Google's Allo app will now include "Smart Reply" in Hindi language as well, with the help of machine learning. Smart Reply lets one keep the conversation moving with a single tap by suggesting text and emoji responses based on the user's personality. According to Google, more than 50% of Allo users use Smart Reply daily and introducing it in Hindi will help getting the non-English speaking crowd online. The Smart Reply feature in Hindi will automatically detect the language in which the conversation is being held and show suggested responses in the language. The language can also be adjusted through the device settings. "Smart Reply will recognise the language you're chatting in and begin to show suggested responses in that language," said the blog. According to the blog, the new features in Hindi for Google Allo will be available on Android and iOS in coming days. "Over the last two months since we launched, Google Allo has received tremendous feedback, especially in India, which has one of the highest number of Google Allo users," said Amit Fulay, group product manager, in the blog. Google Allo was launched in September, and in just 10 days of its launch it crossed the five million downloads mark on Play Store. Google has launched many products that are aimed to cater to the Indian population. It launched Android One phones in India first, followed by a free Wi-Fi programme for high-speed Internet and a custom version of YouTube for India, YouTube Go. Google has also said it will open a new cloud region in Mumbai. Expected to be live in 2017, the India cloud region will offer Google's cloud platform services to Indian developers and enterprise customers.